The potential for a national Pharmacare plan has been set in motion after the federal government announced the creation of a national advisory council on Pharmacare as part of the 2018-19 budget. While no funding has been attributed as yet, the creation of the advisory council chaired by previous Minister of Health and Long-term Care, Eric Hoskins, is a serious step in the right direction according to health policy expert and professor at IHPME, Gregory Marchildon. improved access to medications for the working poor and part-time workers, but also lowered drug costs, and increased mobility for workers looking for jobs in other provinces. These individuals would no longer be limited in terms of career movement, by their drug coverage in a particular region or employment benefit plan,” said Marchildon, who is also Director of the North American Observatory on Health Systems and Policies. According to Marchildon a national coverage plan could fit one of two models, a single-payer plan implemented by the provinces and territories under a set of federal standards similar to our current Medicare coverage, or a federal program, regulated, financed, and administered by the federal government, and provided to Canadians directly. “Now is the time to develop a comprehensive structure, as the differences in federal, provincial and territorial coverage plans grow, and as the breadth and depth of coverage in private, employment-based drug plans continues to decline,” said Marchildon. 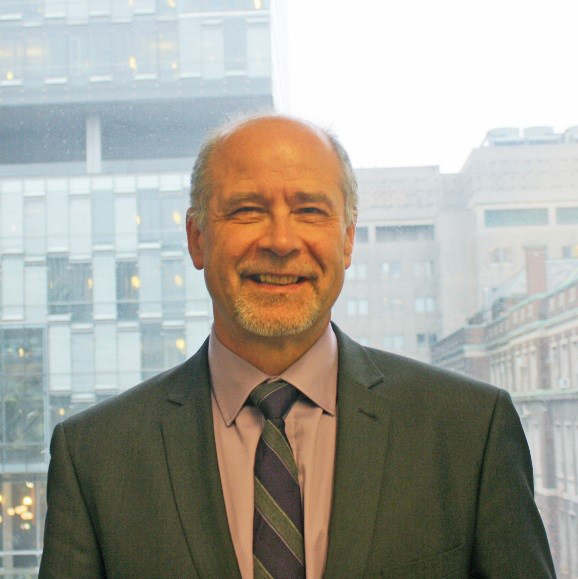 IHPME’s Rebecca Biason spoke with Marchildon about his thoughts on the next stages in the process of a national Pharmacare plan. What does the advisory council need to focus on to move forward? The Parliamentary Committee on Health is about to release its report on a national Pharmacare program. Assuming the all-party committee recommends in favour, there may still be a need for a follow-up study on how a national plan might work so that we can construct the best administrative machine and determine what national Pharmacare would look like in terms of the breadth and depth of coverage. The breadth of coverage would likely have to be broad as we take into consideration the variety of current plans available throughout the country. Any proposed Pharmacare plan would have to meet the expectations of those living with fairly good private or public coverage. Hopefully the recommendation would be to provide better coverage than that which the majority of Canadians have at present. What about co-payments or deductibles? This is probably the most difficult decision when it comes to building a national plan, and falls under the depth of coverage. The council would need to decide whether certain medications are free at the point of access, or whether they will require co-payments or deductibles. A tiered system might even be discussed, with classes of drugs, some free, some needing a minimal payment, and others a more substantial co-payment. How does Canada compare with other countries? Countries like Australia and New Zealand already have national drug coverage plans, but they are managed in different ways, such as by agencies or crown corporations while many European countries already have drug coverage worked into their universal health plans. The council will need to assess the way these countries have structured their plans and determine what will be most suitable for Canadians. What are some of the barriers ahead in creating a comprehensive plan? Pharmaceutical companies are going to be affected, as drug prices fall and cost controls come into effect under either coverage model. These companies can choose to work with the new plan, and maximize their benefits including providing drugs at lower prices but gaining the benefits of a larger market as more people have access to the medications they need. Or, they can choose to fight national Pharmacare from the beginning. They are more than capable of sowing the seeds of doubt about the development of the plan and its impact on job losses, particularly in Ontario and Quebec, where most Canadian pharmaceuticals are manufactured. They can also lobby or otherwise influence politicians, ministers, provincial governments or other groups who might oppose such a plan. There will likely be a very long road ahead leading into the 2019 election and the establishment of national Pharmacare.